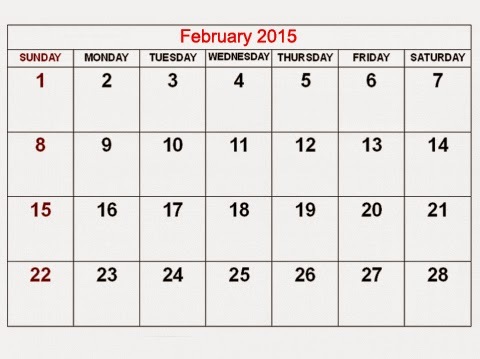 In February 2015, every box in calendar is filled by day numbers started from Sunday to Saturday. Description : In February 2015, every box in calendar is filled by day numbers started from Sunday to Saturday. No response yet to "FACT: February 2015 fills and fits calendar perfectly"